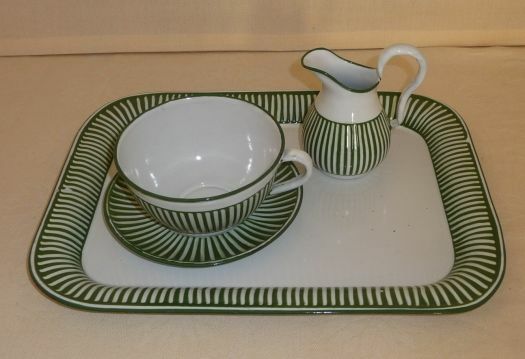 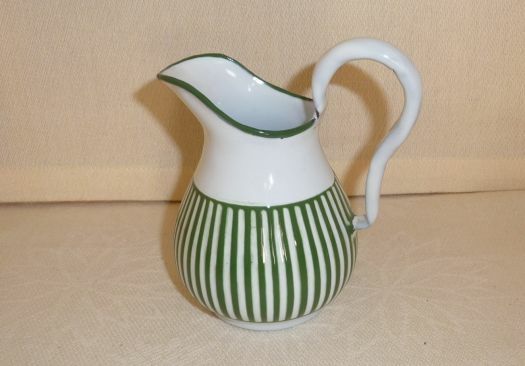 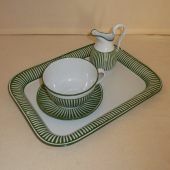 Great enameled dish with cup and saucer for tea and the pretty milk pitcher. 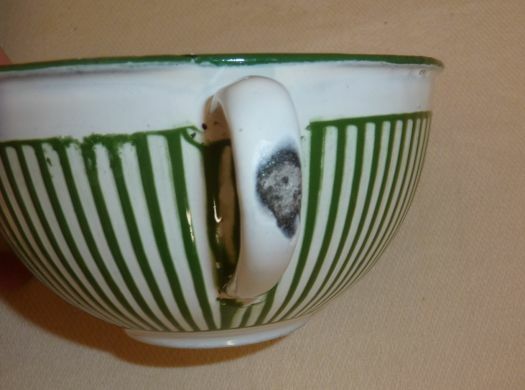 Very good condition, only a chip on the handle of the cup. 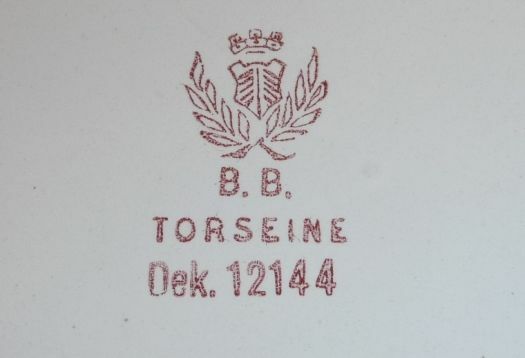 Dish : 35 cm x 27 cm.